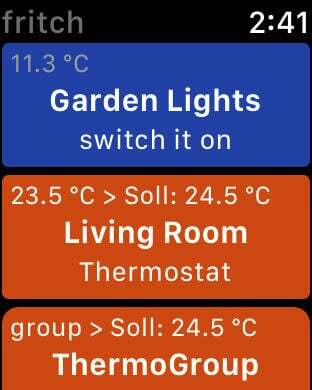 - set the requested Temperatur after tapping on the Thermostate button with the slider or the "-" and "+" buttons. Exit and save with a tap outside of the Temperature setting box. - Check the current power consumption with your iPhone or iPad.